What is the Followers menu item? 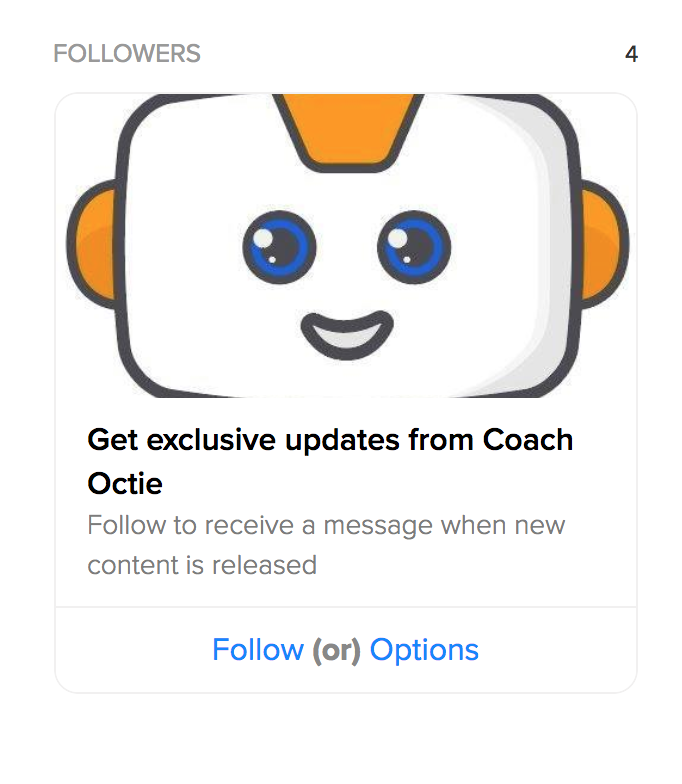 The Followers menu item encourages your audience to follow your bot, similar to subscribing to an email list. Every time you send an update via your bot, it’s received by 100% of your bot’s followers. For in-depth information on this feature, read this blog. The Followers menu item is also where followers can alter their notification settings. Note that from now on when fans send messages to your bot they will automatically become followers. 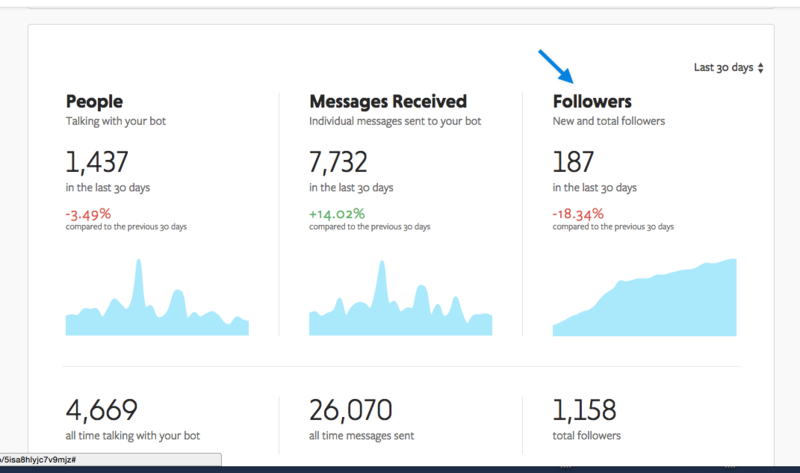 Learn more about autofollow in How does someone follow my bot? Also check out How to send updates to your followers.